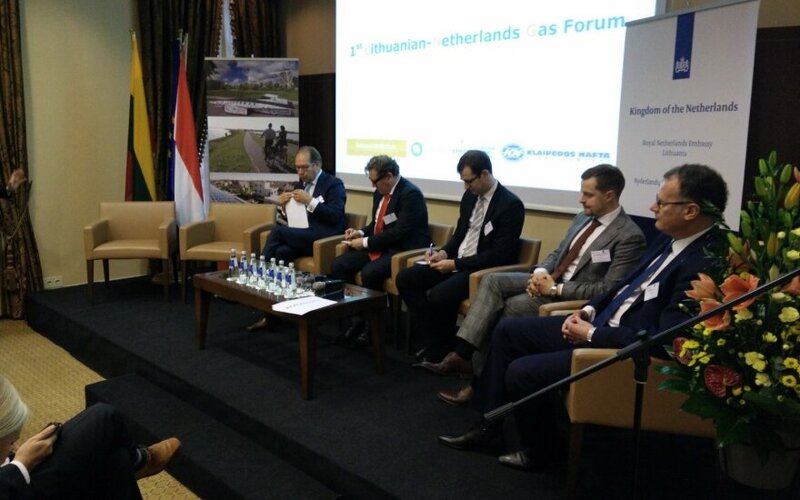 The first Lithuanian-Dutch liquefied natural gas (LNG) forum was held on Monday. In the opening address, Lithuanian Energy Minister Rokas Masiulis emphasised the possibility to take advantage of the Dutch experience in developing LNG business in the Baltic region. "We want to learn, cooperate and see real possibilities for transposing the Netherlands' practise into Lithuania and the region," said Minister Masiulis. The development of Klaipėda’s regional LNG hub was one of the most important topics covered during the seminar. "Klaipėda’s LNG terminal opened up new possibilities to the regional energy hub," said Bert van der Lingen, the Ambassador of the Kingdom of the Netherlands to Lithuania. 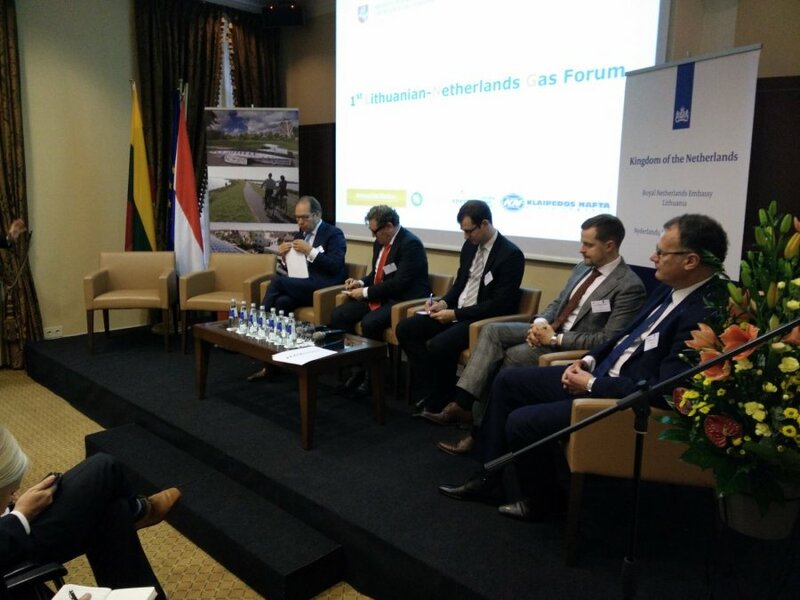 Insights from the bilateral cooperation forms between Lithuania and Dutch ports, regional matters were shared among forum speakers. A lot of attention was paid to LNG use as a fuel in road transport and off-grid gas supply to isolated settlements. The importance of knowledge transfer on preparing proposals for European Commission regarding investments into small-scale LNG sectors was emphasised. The founding of the LNG cluster, trainings and the importance of informing the public about LNG were in focus as well. In the session about establishing a Lithuanian LNG platform, participants presented the Netherlands' example, which connects LNG business firms and government agencies. The participants discussed the benefits of establishing such an LNG platform in Lithuania. The representatives from the Netherlands set out initial steps to create a demand for LNG use in public transport and maritime sectors in Lithuania, which would reduce greenhouse gas emissions to the atmosphere. Representatives from the ‘Dutch National LNG platform’, ‘Energy Valley’, ‘Royal Dutch Shell’,‘De Lauwershorst Groep‘ gave presentations, while the Lithuanian side was represented by managers of ‘Klaipėdos nafta’, ‘Amber Grid’ and ‘Litgas’ as well as the energy minister.